1 + 5 = Required Please enter the correct value. The Dow Jones Industrial Average jumped 19 points pre-market hours as investors awaited confirmation that the U.S. Federal Reserve intends to raise interest rates. This morning, the Fed Open Market Committee (FOMC) kicks off its two-day meeting on interest rates and monetary policy. Bank of America Corp. (NYSE: BAC), JPMorgan Chase & Co. (NYSE: JPM), and Citigroup Inc. (NYSE: C) were all up at least 0.5% in morning trading. Ahead of today’s meeting, the 10-year Treasury bond hit its highest level since May, indicating that most investors expect the Fed to raise rates. Now here’s a closer look at today’s Money Morning insight, the most important market events, and stocks to watch. Shares of Facebook Inc. (NASDAQ: FB) were off this morning on the surprise announcement that the founders of Instagram will be departing the company. Both Kevin Systrom and Mike Krieger sold Instagram to Facebook in 2012 for $1 billion. While that number was a head-scratcher at the time, the deal turned out to be a bargain for the social media giant. Bloomberg has reported that the two are departing the company due to tensions with Facebook CEO Mark Zuckerberg over the direction of Instagram. The death of retail looks poised to capture its latest victim. 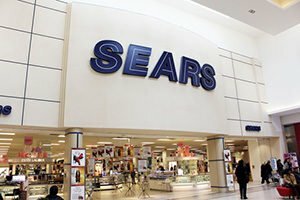 According to company CEO Eddie Lampert, Sears Holdings Corp. (NYSE: SHLD) is running out of time to address its ongoing debt problems. Lampert said Monday that the company is facing “significant near-term constraints” around its cash position as it must address a $134 million debt payment come Oct. 15. The company is scrambling to consider alternatives to raise cash, including proposals to sell its Kenmore appliance brand or to spin off real estate holdings around the United States. Tomorrow, Sept. 26 (at 8 p.m.), you will be introduced to the most talented individual this industry has ever seen. Get an exclusive invitation to meet Tim before everyone else, right here. Shares of Nike Inc. (NYSE: NKE) are on the move ahead of today’s earnings report. Wall Street expects that the apparel giant will report earnings per share of $0.62 on top of $9.87 billion in revenue. Investors will be hanging on every word of the conference call as markets weigh the success of the company’s latest ad campaign featuring Colin Kaepernick. In addition, investors will be curious if the firm received a boost by the Tour Championship victory over the weekend by Tiger Woods, who won his first golf tournament in five years. Michael Kors Holdings Ltd. (NYSE: KORS) just made another huge acquisition. According to reports, it purchased the iconic Gianni Versace brand in a deal worth $2.1 billion. The deal gives Kors a gateway to the high-end European luxury market. Shares of General Electric Co. (NYSE: GE) are sitting at nine-year lows as the company’s power business struggles. Shares hit their lowest levels since July 13, 2009 as the firm grapples with a failed gas turbine in Texas. The turbine’s failure fueled a stock downgrade by JPMorgan Chase & Co. (NYSE: GE) last week. Look for earnings reports from Carnival Corp. (NYSE: CCL), KB Home (NYSE: KBH), FactSet Research Systems Inc. (NYSE: FDS), Jabil Inc. (NYSE: JBL), Cintas Corp. (NASDAQ: CTAS), AAR Corp. (NYSE: AIR), Neogen Corp. (NASDAQ: NEOG), and IHS Markit Ltd. (NYSE: INFO).